Sports Watch: do you really need the money, Andre Agassi? This is rich. To recap: Fergie said a referee was unfit. He apologised. Kind of. To get off a ban. He felt so guilty he then abused another referee for being influenced by the home crowd at Anfield. Which makes a change from being influenced by a rather small man with the manners of the Mitchell brothers. 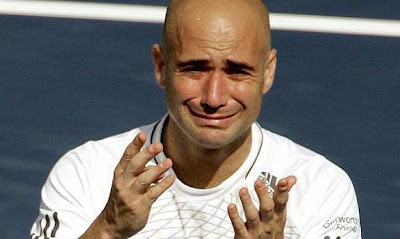 Sports Watch believes Agassi could not have created the sort of mindblowing topspin attempted by Taggart II even when in the grips of crystal meth. The Newcastle Chuckle Brother now wants to sell the naming rights for St James' Park. This has provoked horror but Sports Watch thinks our Geordie cousins should get over themselves. Times change. That is life. Roker Park is no more. Nor is Highbury. White Hart Lane and Anfield are on their last legs. In terms of Ashley's follies, this is small beer. Theatre of Dreams/Fitful Sleep/Vaudeville? Delete as applicable. We like a good celebration and Reina's 90-yard sprint to give David Ngog a hug for adding a second against the Dark Lords was up there with the best of Roger Milla. Given the way Reina mistook a large red, inflatable for a white football the previous week, Sports Watch is impressed that Reina did shin up a floodlight in pursuit of the Sky blimp. She's back. Radcliffe will run the New York Marathon this weekend, her first marathon for a year, and will almost certainly win. This is because she is one of Britain's few active sporting legends. Dullards damn her because she was unfit on the two days that coincided with her Olympic chances. Expect dramatic brilliance. With football's Respect campaign now renamed Shoot-Any-Idiot-Who-Refuses-To-Add-Multiplied-Time-And-Play-On-Until-The-Cows-Come-Home-Or-Alternatively-Scholesy-Has-A-Half-Decent-Game-And-Scuffs-The-Winner, how nice it was to hear the eulogies about one of cricket's best-loved figures. An umpire no less. Cricket remains a game where officials are not routinely abused by managers for their own inadequacies. Yes, he is a one-eyed visionary who subscribes to nonsensical conspiracy theories about bullies from tough northern towns like Blackburn kicking his fey artists to death. 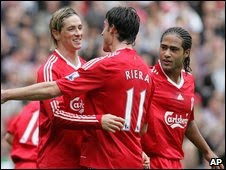 But anyone who watched Arsenal's kids stay up past their bedtime to dump Liverpool out of the Carling Cup with the sort of swashbuckling delights not seen since The Flashing Blade was on the box knows the truth. The man from Big Bear has a bugbear about money. Hence, if he wins the New York Marathon on Sunday (expect him to be in the top five), he will give away his $130,000 cheque. Hall says he had an epiphany during the Olympic marathon last year, is inspired by Eric Liddell (the religious one from Chariots of Fire) and is, altogether, a rare and exceptional bloke. The second part of the formula was that the Yankees were able to take advantage of the insanity that seemed to strike the Angels again and again in crucial moments, as it had struck the Twins during the ALDS. In Game 6 alone, the Angels made three distinct mental errors (four if you count Chone Figgins' being called out after bunting into his own foot in fair territory to lead off the sixth, which was likely just unlucky), each more inexplicable than the last. In the second inning, Guerrero, who had just hit a lead-off infield single, allowed himself to be doubled off first by Nick Swisher on what ought to have been nothing more or less than a routine fly out by Kendry Morales, calling to mind names such as Gomez, Punto and Abreu, who had this postseason already made bizarre base running blunders from which the Yankees had benefitted. Then, in the ninth, with the Yankees clinging to a 3-2 lead and the outcome of the game and the series still very much in doubt, Swisher tried to bunt Robinson Cano over to with no outs, but Howie Kendrick dropped pitcher Scott Kazmir's throw at first base. The next batter, Melky Cabrera, tried to bunt over both base runners, and Kazmir picked the ball up and nearly threw it into the stands. By the end of the inning, the Yankees were up 5-2, and the game was essentially over with Rivera on the mound. "They capitalized on every mistake we made," Hunter said afterward, speaking of both this game and the series as a whole. "Defensively, I thought we were sound, but when we got into this series things just happened. It was probably mental." "Everybody came to play," said a dejected Figgins, who sat slumped in his corner locker still wearing his full uniform, dirt occasionally flaking off of his uniform pants onto the navy blue carpet. "I didn't think anybody approached anything differently. They pitched great, and we made some mistakes." 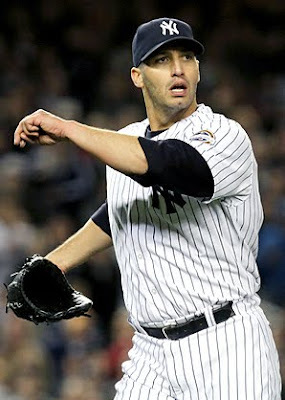 In their four victories, the Yankees' starting pitchers -- Pettitte, A.J. Burnett and CC Sabathia, who won Games 1 and 4 and was named the series' Most Valuable Player -- combined to pitch 28.2 innings and allowed just five earned runs, for an ERA of 1.57. The Yankees' offense was, however, generally not the juggernaut that it had been during the regular season, particularly with runners in scoring position -- they were 2-for-8 in that situation Sunday -- and the Angels had real chances to win every game but Game 4, chances that were often thwarted by their own ineptitude. "At times we played good baseball," said manager Mike Scioscia, "At times we shot ourselves in the foot. The Yankees are a team that you can't give extra outs to. We did it in a couple of games. And obviously it cost us." The Yankees' Game 6 win meant that they will be able to start Sabathia in Game 1 of the World Series against the Phillies in New York on Wednesday, and they ought to have every reason to believe that Element No. 1 of their winning postseason formula -- their superb starting pitching -- will remain in place. The Phillies, though, are a veteran group, and the defending champions, and it seems unlikely that they will make as many mistakes as the Angels and Twins did, allowing the Yankees to take advantage of them. (Of course, it had seemed unlikely that the Angels, the Yankees' primary nemesis this decade, would make as many crucial blunders as had the Twins in the ALDS, and they did.) To win their first World Series title since 2000, New York's offense will have to click in a way in which it really hasn't yet this postseason, except during one game, and that will mean hitting with men on base. The Yankees hit eight home runs in the ALCS, yes, but all but two of them were of the solo variety, and those two outliers were both two-run shots. All of that, of course, is Wednesday's worry. "I said it was going to be a dogfight, and it was," said Figgins, blithely overlooking the fact that dogfighting metaphors are frowned upon in sports in this post-Vick era. "They came out on top, but they know it wasn't easy." It might not have been easy for the Yankees, but thanks to their starting pitchers and the Angels' gaffes, it wasn't all that hard. The Phillies, whose offense nearly matches the Yankees and who have a shutdown, lefthanded ex-Indian ace of their own in Cliff Lee, should present a much more significant challenge. There are, in other words, no potential Cinderellas remaining in this year's playoffs. From Sunday, the next 17 days will tell us if one-day cricket is indeed dead. The upcoming series between the world champions and the country that generates a major share of the game’s revenue may indicate what lies ahead. The marketing men think ODIs are safe, at least in India. But then those were just two matches in a 15-match competition. 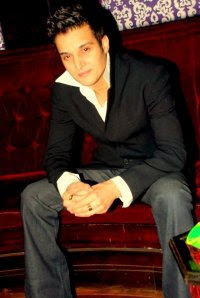 As a whole, the tournament was not a success with Indian viewers. The India-Australia series will begin on a good note though. Demand for the about 20,000 tickets for the first ODI — in Vadodara on Sunday — is high. However, Advani, chess ace Abhijit Gupta, badminton players Shruti Kurien, Trupti Murgunde and India table tennis player Subhajit Saha among others were present. Meanwhile, former India table tennis player Monalisa Mehta was conferred the Lifetime Achievement award for 2007-08 while ex-hockey goalkeeper Romeo James took the honour for 2008-09. Sports Person of the Year: Saina Nehwal (badminton). Elite Sports Person for the Year: Pankaj Advani (billiards and snooker), Gautam Gambhir (cricket), Anup Sridhar (badminton), Abhijeet Gupta (chess). Meritorious Sports Person of the Year: Chetan Anand badminton), Ishant Sharma (cricket), Bajjit Singh (hockey), V Raghunath (hockey), A Sharath Kamal (table tennis). Sports Person of the Year: Pankaj Advani (billiards and snooker), Virender Sehwag (cricket). Elite Sports Person for the Year: Chitra K Soman (athletics), A Sharath Kamal (table tennis), Prabhajot Singh (hockey), Gautam Gambhir (cricket). Meritorious Sports Person of the Year: Rajpal Singh (hockey), Koneru Humpy (chess), Tushar Khandekar (hockey), Ishant Sharma (Cricket), Abhijit Gupta (chess). Liverpool football club co-owner Tom Hicks has moved a step closer selling his Texas Rangers baseball team. Houston businessman Jim Crane and his team have visited the Rangers Ballpark and met officials from the baseball and business operations of the US team. Hicks and LFC co-owner George Gillett said last month they were looking for new investment in the Anfield club. Texas Rangers president Nolan Ryan and general manager Jon Daniels were among those showing Mr Crane around the stadium. Mr Hicks has previously said that he would be willing to sell his controlling interest in the Rangers. Earlier this year his Liverpool co-owner Mr Gillett agreed to sell one of his major US assets to help ease financial pressures at the Premier League club. Already wrapped up in a heated four-team race for the MLS Western Conference crown with the playoffs looming, the Dynamo find themselves in yet another must-win situation. With that in mind, the Dynamo will enter their game at Salvadoran club Isidro Metapán pressed to do what they never have accomplished in their four CONCACAF tournaments — win away from home. “We know exactly what we have to do,” said Dynamo coach Dominic Kinnear, whose team is 0-5-5 all-time on the road in CONCACAF play. Isidro Metapán, whose 0-5 record and minus-17 goal differential make it the worst team in the 2009-10 edition, looks to be the weakest international foe the Dynamo ever have faced, suggesting the feat shouldn't be hard to accomplish. The Dynamo, who sit third in the standings with seven points, also need Pachuca (12 points) to defeat Arabe Unido (10 points) in order to advance to the quarterfinals. The combination of results would allow the Dynamo to tie Arabe Unido for second place in points, with the MLS side moving on because of the head-to-head tiebreaker. 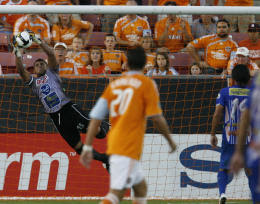 The Dynamo tied Arabe Unido 1-1 at Panama on Aug. 26 and won the home leg 5-1 on Sept. 22. Only the top two teams per group advance to the quarterfinals, set to begin in March. Any other combination of results ousts the Dynamo. The Dynamo want to reach the quarterfinals of the Champions League for a second consecutive year. The team also reached the semifinals of the CONCACAF championship, then known as the Champions' Cup, in 2007 and 2008, when it did not include a group stage. Logic dictates that if the Dynamo play a strong lineup at Metapán, victory should come against a team that has lost its last two games by a combined score of 10-0. Similarly, with Pachuca, a three-time CONCACAF winner, enjoying an overwhelming home-field advantage and one of the strongest lineups in the tournament, Arabe Unido seems unlikely to escape Estadio Hidalgo with any points. The Dynamo know better than to get their hopes up, however. “Nothing is guaranteed,” Kinnear said. The Dynamo find themselves in a tight spot after dropping points at Arabe Unido, which they led and could have beaten had it not been for three ejections and a last-minute defensive lapse, and at home against Pachuca in a 1-0 loss last month. That the team has won just once in its last seven games in MLS play, allowing the Los Angeles Galaxy, Chivas USA and Seattle Sounders to catch up in the standings, only complicates the picture. The Dynamo, Galaxy and Chivas USA entered the final week of the regular season tied for first in the West with 45 points each. Chivas has a game in hand on them, and Seattle trails the three by only one point. If the Dynamo are serious about advancing in CONCACAF play, Kinnear should consider using his strongest lineup against Metapán. But with the team coming off a grinding 0-0 tie against the Galaxy at Robertson Stadium on Sunday and set to visit Chivas USA in the season finale with the conference championship possibly on the line, he will have to give the decision much thought. One key starter from Sunday's game who likely will see time against Metapán is Brian Ching, who was red-carded late and will be unavailable against Chivas USA. One who won't is Brian Mullan, who is suspended because of his accumulation of yellow cards. CONCORD, N.C. — There's two sides to Jimmie Johnson, the three-time defending champion often perceived to be a stiff, corporate spokesman who has sucked the drama out of NASCAR. But he plays hard away from the track, where those who know him well insist he's a laid-back California guy who loves a good party. The public will get to judge for themselves next year when Johnson, who is trying for a NASCAR record fourth consecutive title this season, opens his life for HBO online sports' award-winning "24/7" program. The four-episode series will air beginning in January and focus on Johnson's preparation for the 2010 season-opening Daytona 500. "I'm confident that my personality will come out, and for those who may think I'm boring, they'll see a different side of me," Johnson said Thursday from his office at Hendrick Motorsports. The show will mark HBO's first in-depth venture into NASCAR, and it will be the first time its "24/7" franchise will stray from boxing. Ross Greenburg, president of HBO Sports, didn't have any hesitation about choosing Johnson for the first non-boxing documentary. "You know, they also said Oscar De La Hoya was boring," Greenburg said. "This gentleman has won three Cups in a row, is regarded as most by the greatest driver in the world. We look for personality, and when I came to visit him, it was a nonstop chatter box who has a lot to talk about. I think he's ready." The project was brought to HBO by Creative Artists Agency on behalf of Johnson, who signed on with its sports division in 2008 for a marketing, licensing and endorsement deal. CAA asked Johnson for a list of projects he'd like to do and "24/7" was at the top. He and his wife, Chandra, had become hooked on the series during the Ricky Hatton and Floyd Mayweather edition, and Johnson wanted a chance to do a similar project. "I think it would be awesome to show what goes on in my life, the team, NASCAR, and truthfully to hit new fans," Johnson said. Johnson is also hoping he can parlay the show into another gig at HBO — a guest spot on "Eastbound and Down." "That would be awesome," he said. "I carry that show around in my bag, and I'd love it if we could figure out a way to get me on there." But one thing at a time, Greenburg laughed, and first up will be at least 1,000 hours of filming to create the four 30-minute episodes. Cameras have already filmed a bit with Johnson and his wife, and the project will pick up steam as they head into the offseason and then to Daytona next year. Although Johnson said his wife isn't comfortable around cameras, he's confident they'll adapt. And he's trusting the experience will be much different from what good friend Nick Lachey experienced doing "Newlyweds" for MTV with his now-ex, Jessica Simpson. "I feel that this is much different than a reality show," he said. "It's certainly our real life but it's more of a documentary than a reality show. That's a big difference. And Nick would kill me, too." The show will have total access to Johnson, Hendrick Motorsports, and the No. 48 race team in its preparation for NASCAR's biggest race of the year. Greenburg expects an adventure or two with the notoriously intense crew chief Chad Knaus, who has little time for media when the pressure is on. Knaus can also be super secretive when it comes to strategies and planning, and the exposure could potentially unnerve him. "We laugh about it, but it's going to be interesting," Greenburg said. "If Chad has trouble with it, that will be part of the story, too: Chad can't handle this. But Greenburg is most excited to expose NASCAR to a new audience. 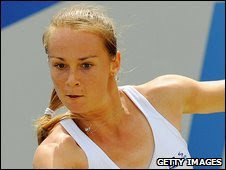 The leading players in women's tennis will be returning to the Edgbaston Priory Club in 2010 to take part in the AEGON Classic tournament. But the Lawn Tennis Association has agreed a one-year deal, with a view to the club improving facilities in the hope of securing a longer contract. Slovakia's Magdalena Rybarikova won the Classic title in 2009. "We are delighted to be taking the AEGON Classic back to Edgbaston Priory and Birmingham in 2010." The LTA, the club and Birmingham City Council are to have discussions on how best to develop the tournament site and the event in the future. "We have a long tradition of hosting international tennis and we are delighted to have reached an agreement with the LTA," said Edgbaston Priory Club chief executive Robert Bray. "We are at an exciting stage of the development of Edgbaston Priory and we look forward to exploring further with the LTA and the City Council the ways in which we can provide a suitable venue for future events." FOXBORO - After hosting a reality show, Junior Seau decided he wanted actual reality a little bit more. To the 40-year-old, that still means life as a professional football player. During a break at the NFL owners meetings, Robert Kraft was asked about Seau joining the team. Seau, a 12-time Pro Bowler and perennial retiree, is returning to the Pats for the third time. He last played for Belichick in 2008, joining a depth-starved team for four late games. Seau had previously said he would play only the final six games of the season and only for the Patriots. It’s not clear what changed. He was not available for comment, but did thank his past and future employers in a release. “I’m very fortunate and honored to be involved with two class organizations - the New England Patriots [team stats] and Versus,” Seau said. Seau has 1,512 tackles, 56 sacks and 18 interceptions over his 19-year career. A cerebral player and strong locker room presence, Seau would add leadership to a young group of inside linebackers that includes second-year star Jerod Mayo. Over the past few months, Seau has been adding a different kind of experience. For his much-hyped reality show, Seau has worked odd sports jobs. He has been run over by a bull as a rodeo clown, worked as a bat boy for the Los Angeles Dodgers, and caddied for LPGA player Natalie Gulbis. Seau has filmed eight episodes of his 10-episode show that debuts Dec. 2 at 10 p.m. He plans to work within his football schedule to film the final two. When Seau was in town to publicize the show recently, he had a physical and worked out for the team. While director of player personnel Nick Caserio wouldn’t confirm the move, he did appear impressed by Seau’s performance in the workout. Defensive coordinator Dean Pees was reluctant to talk about a player not yet on the roster. But looking back to Seau’s past play, he compared working with him to coaching stalwarts such as Tedy Bruschi [stats], Mike Vrabel and Rosevelt Colvin. 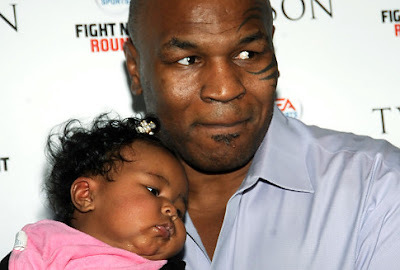 Mike Tyson doesn't want to know how his little "angel" died. "If I know, then there might be a blame for it," Tyson said Monday in an emotional interview on "The Oprah Winfrey Show." "If somebody's to blame for it, there will be a problem." "I was so happy that I had the tools in life, you know, to not go in that direction," he told the talk show queen. "Because I've been [in] that direction. I know where that's gonna lead me. I know I'm not gonna win." Exodus was strangled after her neck was caught in the cord of a treadmill in the exercise room of her mother's house in Phoenix. The child's 7-year-old brother, Miguel, found her hanging from the power cable. The 911 tapes revealed the girl's frantic mother, Sol Xochitl, told the emergency dispatcher, "My baby! She's choked!" Xochitl also tried to revive the doomed child until the paramedics arrived and took over. Phoenix police called the incident a "tragic accident." Iron Mike, who married girlfriend Lakiha (Kiki) Spicer two weeks after the tragedy, said he doesn't blame anybody or harbor any anger against anyone about the death of Exodus. He called his family "my biggest asset." The Dominion-Post newspaper said Oram, 31, hoped to prolong his injury-plagued career by quitting tests to concentrate on Twenty20 and one-day internationals. The newspaper did not quote Oram but attributed its report to "an impeccable source". The report said Oram was "devastated" by the latest setback and had decided to give up tests in the hope of extending his career, particularly to continue playing in the Indian Premier League. The alternative, the newspaper said, was for Oram to play tests as a batsman but to cease bowling, an option he is said to have rejected. Oram scored five centuries and averaged 36 in 33 tests for New Zealand and took 60 test wickets at 33.05. The hotel owner was killed and a bullet also hit Gagandeep, killing him on the spot. Gagandeep was in Meerut for the CK Nayudu cricket tournament. Show me the moneyCricket is the only mainstream team sport that survives on international competition. Every other sport lives off club-based or franchise-based competition. "There must be something in the model, for every other sport to follow club-based competition," Neil Maxwell, who was the CEO at Kings XI Punjab in the first IPL, says. Maxwell, a former Australia A player, who was also once the marketing director at New Zealand Cricket, reckons the difference in the standards of play between the elite nations and the others, as a result of the FTP model, is hurting cricket more than anything else. "We are seeing the flaws in the country-versus-country model, where there is a huge disparity in the standard of teams. Some matches aren't competitive and some countries are choosing to play others more regularly, so you haven't got an even spread of the wealth generation." Club-based cricket, on the other hand, provides regularity of competition and more balanced contests. That, Maxwell thinks, is the main reason why the Champions League is bound to change cricket. A probable shot in the arm for events like the IPL and the Champions League is the increasing frustration on the part of players, and player associations, at the relentless international schedules designed by the administrators. Compare this to football, where countries play each other sparingly. Top footballers make US $5-10 million a season playing for their clubs, and though they get paid a pittance to represent their countries, it is the honour and prestige that motivates them to play. "That is fine on a basis that it is less regular, unlike in cricket where players are called on to play [international cricket] 10-11 months in a year," Maxwell argues. So has the time arrived where players pick club over country? Dirk Nannes, the Australian fast bowler, who now represents Delhi Daredevils in the Champions League, predicts the club-based model will definitely be a lucrative and viable option especially for some players. "It certainly becomes an attractive option for the older guys who are close to retiring," Nannes says. Nannes says he would personally still rather play for his country, but "it certainly would be tempting if you are on a high-end IPL contract, where you earn millions of dollars. Then, of course, I would think twice." It came as quite a shock for Nannes to be picked for Australia earlier this year; he wasn't in the original squad of 30 picked for the World Twenty20. "Without playing a single game of domestic cricket I've gone from being ranked at best 31st to, in the next Twenty20 game, being in the playing XI," he says. "So that has changed things a little bit." At 33, Nannes says he has to start thinking about life after cricket and how best to prolong his career. How does he stretch his career to, say, the age of 38, he wonders. "Is that going to happen playing four-day cricket? Maybe I've got the chance to play Tests, but if I don't make the squad in another year, what purpose is there for someone my age to play four-day cricket? I don't get a very big wage and it is definitely going to limit my career at the back-end. This is the form of the game I'm good at, and I can play till I'm quite old." Not all players agree. Justin Langer, the former Australia opener who is now captain of the Somerset Sabres, one of two English sides in the tournament, says the Champions League cannot radically alter the game of cricket, but it will certainly place an extra emphasis on the domestic competition. 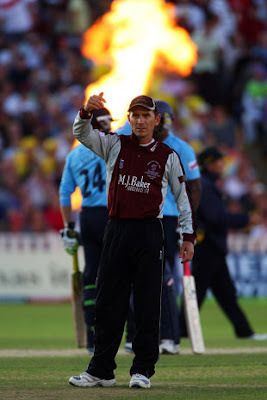 "For example, for Somerset, a smallish club in the south-west of England, to be thrust on the world stage is a great honour - a huge thrill for both the club and the players" Langer says. Dean Kino, head of the Champions League governing council, echoes Langer's sentiments. "Contrary to the perception that players might give priority to the clu b, one of the great benefits of the tournament is, it is going to improve the next generation of international players," Kino says, pointing out how tournaments like the Champions League and the IPL provide opportunities for domestic crickerers to play against, and with, better quality players. "Dirk Nannes and David Warner are good examples of players who have come out of club championships in the past." Freelancer, mercenary, what's wrong with it anyway?After years of being subdued by administrators, players, fuelled by the attractive pay packets in the IPL, are daring to make themselves heard. Kevin Pietersen's remark last week about central contracts not being lucrative anymore is a case in point. A few days after that, Dwayne Bravo said that if asked to choose between country and club, he would reflect first on the money on offer on either table. Unlike the two Andrews - Flintoff and Symonds - Pietersen and Bravo haven't yet publicly declared their freelance ambitions, but it seems only a matter of time before players of all calibres start charting independent paths, unshackling themselves from restrictive central contracts. Amrit Mathur, Delhi Daredevils' chief operating officer, says the biggest challenge facing administrators, starting now, will be player management. "Central contracts have lost their relevance," he says. "Ultimately the performers are the players. You will have to play by them." Langer, among the proudest upholders of the tradition of the baggy green during his playing days, is clearly a loyalist. "You've got to remember, we had to play a very tough competition in England as a team, as a club, and I'm not sure how this would encourage the freelance system," he points out. Langer thinks the number one priority for all young players is international cricket, and one of the responsibilities of domestic cricket is to accelerate the progress of young players to play international cricket. "IPL and such events are a bonus." Maxwell isn't too keen on the term freelancer either. "At the end of the day every English Premier League footballer, every NFL player, every NBA player, every baseball player, is representing his club. They are only called freelancers because the model is changing," Maxwell says. Cricket follows an antiquated model, he says, and predicts an "evolution" in the next three to five years. For Kino, the issue is moot: since the Champions League isn't going to clash with any international series, players don't need to make a choice, he points out. As for whether the new leagues will bring about a flood of premature retirements among established international players, he thinks it is too early to say. Maxwell is confident that ultimately the club-based system will take over from the international model. "At some point you need to understand what the consumer wants. At this point unfortunately a lot of consumers don't want Test cricket - only the older generation wants Tests and I'm one of them. But a 10-year-old is going to want to play Twenty20 cricket." The future is already here An indicator that the club-based model is here to stay can be found in the participation of sponsors for club events. ESPN Star Sports, which has the broadcast rights for the Champions League, stated in a media release that 95% of available advertising inventory has already been sold. Kino stresses that sponsors have shown enough interest in the market to sustain both types of competition - international as well franchise-based. "Advertising revenues, sponsorship revenues and commercial support for the game is centred around quality of events. The events aren't marginalising each other. On the contrary, they are accommodating each other, from both a commercial and economic perspective. Maxwell believes the Champions League owes much to the success of the IPL brand. "We opened doors for people to buy equity in cricket two years ago, so the floodgates are open now." An interesting illustration of the paradigm shift is how Indian corporates are now sponsoring most foreign teams that are competing in the Champions League. Yet a major test for the game is just six months away, when the third season of the IPL will coincide with the latter part of the domestic season in the southern hemisphere. No doubt the club v country debate will come to the fore in very real terms. It is Lalit Modi who has the last word. Asked if he is confident about the Champions League replicating the success of the IPL, Modi smiles widely and says, "You asked me the same question before the IPL too." All together now, Seattle sports fans: We're No. 52! Others ahead of Seattle, which dropped 20 spots, on the list: Portland, Ore., State College, Pa., East Lansing, Mich., and — are you ready for this? — Oklahoma City and Norman. You knew it was a rough year. Now you have the rankings to prove it. Pittsburgh is No. 1, thanks to championships by the Penguins and Steelers. Philadelphia is No. 2. Last year's No. 1, Boston, dropped to third. Chicago and Los Angeles round out the top five. This year's Best Sports Cities list features 399 cities and towns in the U.S. and Canada, ranked by a system that assigns points to a variety of categories, including a city's number of teams, their regular-season won-lost records, playoff berths, bowl appearances and tournament bids, championships, applicable power ratings, fan fervor, attendance and more. • Ryan Johansen scored twice to lead Portland past Everett, 4-3, in a Western Hockey League game at Comcast Arena in Everett. Washington's Anya Alvarez tied for 10th at 12-over par 228 and the Huskies finished sixth in the 13-team Edean Ihlanfeldt Invitational women's tournament at Sahalee CC. Cal beat Stanford by 14 strokes for the team title. Washington State was 10th. San Jose State's Katrina Delen Briones was the top individual, shooting a 1-under 71 in the final round for a 3-over 219 total. Portland State swept Seattle 25-19, 25-23, 25-19 at Connolly Center despite 17 combined kills by the Redhawks' Kaytlyn Dill and Cristin Richards. • UW women's doubles players Joyce Ardies and Denise Dy reached the 16-team main draw with wins over opponents from USC and Florida at the ITA All-American Championships in Pacific Palisades, Calif.
NFL commissioner Roger Goodell said the league is watching as authorities investigate allegations that Oakland Raiders coach Tom Cable assaulted one of his assistants. "When the appropriate time comes, we will speak to the coach," Goodell said during an NFL Play 60 event in New Jersey. Conservative talk radio host Rush Limbaugh said Tuesday he is teaming up with St. Louis Blues owner Dave Checketts in a bid to buy the Rams. left knee Sept. 10 against Tennessee. Polamalu must show the Steelers' medical staff that he can stop and start and change directions with a brace before he plays again, but he has not been ruled out of Sunday's game at Detroit. Brett Favre and the Minnesota Viking's matchup with his former team has attracted the largest cable television audience ever, drawing more than 21.8 million people. Florida quarterback Tim Tebow has returned to practice on a limited basis, though he still has not been cleared to play in Saturday's game against No. 4 LSU. U.S. Open champion Juan Martin del Potro was knocked out in the first round of the Japan Open, losing 6-4, 6-4 to French qualifier Edouard Roger-Vasselin. Michael D. Barrett, 47, was ordered released on $4,500 bond but was ordered to wear an ankle monitoring bracelet, to adhere to a strict curfew and not to use the Internet. He is due in U.S. District Court in Los Angeles on Oct. 23 to face federal charges of Interstate stalking. Barrett is accused of trying to sell the videos to Los Angeles-based celebrity gossip site TMZ. The Illinois insurance company that employs Barrett says that he's been suspended from his job. "Yes, Judge, there are other women," Grimes said. "He has used his computer to disseminate these videos to the world." Grimes said the government has confiscated two computers and cell phones used by Barrett, and "feels strongly that those items will provide further evidence." n A judge ruled that Mark Becker, the man accused of gunning down a legendary Iowa high school football coach Ed Thomas, is mentally competent to stand trial. WASHINGTON - With the first phase of its training complete, the U.S. women's basketball team headed to Russia for a three-game tournament. The week of practice at American University was the first under new U.S. coach Geno Auriemma for the 19 players in camp. It was an opportunity for everyone to get to know each other. "We found out a lot about ourselves in the last six days," Auriemma said. "Some of these guys who are here didn't know me, I didn't know them. Now I'm anxious and I know these guys are anxious to go and see if what we know transfers over to games." The U.S. will face Russian professional team UMMC Ekaterinburg as well as Euroleague professional teams MKB Euroleasing Sopron from Hungary and USK Praha from the Czech Republic. The Americans open the round-robin tournament against USK Praha on Friday. The Americans will take 13 players to the tournament, led by 2008 Olympic gold medalists Sue Bird, former Tennessee Lady Vol star Candace Parker, and Sylvia Fowles. Joining them are Swin Cash, Tina Charles, Shameka Christon, Candice Dupree, Lindsey Harding, Asjha Jones, Crystal Langhorne, Angel McCoughtry, Renee Montgomery, and Candice Wiggins. n A judge has set a Feb. 10 trial date in the drunken-driving case against former Kentucky basketball coach Billy Gillispie. n Phoenix Suns center Robin Lopez will have surgery to repair a broken bone in his left foot and is expected to miss six to eight weeks. n Utah Jazz shooting guard C.J. Miles has a ruptured ligament in his left thumb and will need surgery. n Knoxville's Jennifer Lucas defeated Annette Gaiotti (Holladay, Utah), 5 and 4, Monday in the first round of the U.S. Women's Mid-Amateur Championship in Ocala, Fla. Second-seeded Lucas plays No. 31 Christy Schultz (Rochester, N.Y.) at 9:27 a.m. today. n Heavy rains in Kiawah Island, S.C., prevented Knoxville's Todd Burgan from playing his first-round match Monday in the U.S. Mid-Amateur Championship. Burgan's match with Michael Karger (Cortlandt Manor, N.Y.) tees off at 7:50 today. n Walters State won the Spartanburg Methodist College Fall Invitational in Campobello, S.C. The Senators shot rounds of 297 and 296 to win by nine shots. Freshman Player Pierce (75-71-146) tied for second, while sophomore Matt Smith (72-75-147) placed fourth. An admirer of New Zealand's inherent discipline, Australia captain Ricky Ponting has advised his teammates against playing to the gallery when they take on the Kiwis in the final of the ICC Champions Trophy . "They play to their strengths and they do it very well. They're a very disciplined side and have been for a number of years. They'll always try and give their 100 percent," Ponting said on the eve of the final. "We have to match them in that department and let our skills take over everything else. We just have to put up a performance and not try too hard for anything spectacular," he added. 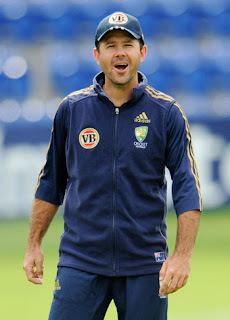 Ponting said the team needed to maintain the momentum. "We've done everything that we've needed to so far. We're happy with the way we've played our one-day cricket over the last three or four weeks," Ponting said. "It's been a long time on the road. We've played a lot of very good cricket. If we happen to play well and win the tournament, we'll look back on the last five months as being a really good period in Australian cricket," Ponting said. 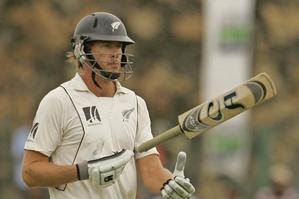 His opposite number Daniel Vettori said lot would depend on how his bowlers fare against Australia's in-form top order. "Their top order has been outstanding. They play so well. If we can keep pressure, that will give us a chance," Vettori said. Injuries to players like Jesse Ryder ,Jacob Oram and Daryl Tuffey have weakened the Kiwis but Vettori seemed to have enough trust in his teammates who have helped the team reach the final. "I can't let injuries worry me because it's nothing I can control. The reason we have come so far is that we've had team performances," he said. "A number of guys have stepped up and allowed us to win. We may not have had too many stars in the tournament, but if you look at every game we've had six-seven guys step up and really perform,"Republication or redistribution of PTI content, including by framing or similar means, is expressly prohibited without the prior written consent. Johnson fought off stiff competition to take the award from fellow short-list nominees Gautam Gambhir and Mahendra Singh Dhoni of India as well as England captain Andrew Strauss. "I'm really blown away. I am just surprised to be up here. It has been a great 12 months for our side. We have lost some wonderful players in recent years and we have been rebuilding with some young guys in the team and we have played together well. "I'm enjoying the game at the moment - that makes all the difference. The highlight for me was actually my first century in a Test match. I would be quite happy to wear the tag of all-rounder so I have been pleased with how my batting has come on. Also, winning in South Africa was a huge high for us. "I'd like to thank my team-mates, friends and family and my fiancee for putting up with the ups and downs over the last year or so." ICC President David Morgan congratulated Johnson on his victory: "Mitchell has worked extremely hard over the past year to be an integral part of Australia's bowling line-up and his effective batting style has turned him into one of the top all-round cricketers. His statistics for the last 12 months show how worthy a winner of this title he is," said Morgan. "I would like to extend my congratulations to Mitchell on winning the Sir Garfield Sobers Trophy. He had some tough competition to overcome, the likes of Gautam, Mahendra and Andrew but no one can deny he has been a stand-out player over the past 12 months." 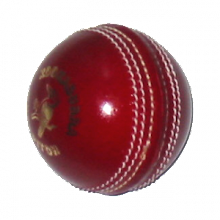 During the voting period, the 27-year-old Queenslander played in 17 Test matches, taking 80 wickets, which was easily the highest number by any Test bowler in the voting period. His best match bowling figures were 11-159 against South Africa in Perth in December of last year and Johnson's economy-rate over the whole period was a mere 3.12. His batting skills shouldn't be forgotten either for in the last year he has managed to score a total of 632 runs for Australia, including a century and three half-centuries, to register an average of 30.09. Johnson also played 16 ODI matches in this time taking 28 wickets at an average of 24.25 and an economy rate of 5.06, his best haul being 4-34 against South Africa in April of this year. He is currently ranked third in the Reliance Mobile ICC Player Rankings for Test bowlers and is 11th in the ODI rankings. The Sir Garfield Sobers Trophy was one of eight individual prizes given at this year's LG ICC Awards. Johnson also featured in the ICC Test Team of the Year as picked by the ICC selection panel. The panel was chaired by West Indies legend Clive Lloyd and included former India captain Anil Kumble, former England wicketkeeper Bob Taylor, former Pakistan opener Mudassar Nazar and former New Zealand captain Stephen Fleming. Based on the period between 13 August 2008 and 24 August 2009, the LG ICC Awards 2009 - presented in association with FICA - take into account performances by players and officials in a remarkable period for the game. That period includes such high-profile events as the ICC World Twenty20 2009 in England, the ICC Women's World Cup 2009 in Australia and the ICC Cricket World Cup Qualifier 2009 in South Africa, as well as several bilateral Test and ODI series. The LG ICC Awards ceremony is now in its sixth year and this year is being held in Johannesburg to coincide with the ICC Champions Trophy 2009. Previous ceremonies were held in London (2004), Sydney (2005), Mumbai (2006), Johannesburg (2007) and Dubai (2008). golf holidays Tailor made golf trips at the best prices. Every course on our website has been played by us and every hotel personally inspected. We deal direct with you and with all our providers - not with agents.